Vild Med Ord literature festival September 1.-4. Joking aside, its nice to know that someone is thinking outside the box, widening the field etc., when it comes to these kinds of events – Denmark is such a small community that it easily can end up being the same three established people having an opinion about literature. Not to say anything negative about that, because those three also have experience and expertise within literary critique. Anyways, I skip-jumpingly accepted to come on Sunday, not even thinking about the fact that it is on the other side of the country. So now I must find a way of getting to the festival without tearing myself a new one. It should be manageable. So far, buses are my first option, DSB is in the very bottom position… And then ahead of me will lie eight hours of book readings, debates, book browsing etc. with appearances by the likes of Cia Rinne, Anne Lise Marstrand-Jørgensen, Carsten Jensen and Rune T. Kidde to mention a few who will attend VMO on Sunday. I have not yet fully decided if I will go but the program sounds really good. Warm-ups have been going on since the 26th of August, but the actual festival starts tomorrow. 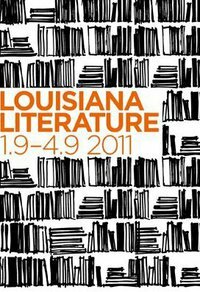 Another literature festival starting tomorrow and also ending on September 4th is Louisiana Literature, hosted by Louisiana Museum of Modern Art. And mamma mia, boy oh boy, have they got a spread of names for us! For a mere 150 DKK (and of course, plus the train ticket costs x4) you get to see and hear readings and interviews with Junot Diaz (Oscar Wao mentioned here), Chimamanda Ngozie Adichie (The thing around your neck review here), Gyrðir Elíasson (winner of the Nordic Council’s Literature Award 2011), Merete Pryds Helle (mentioned here) and so on and so on. I am planning on live-tweeting and blogging my way through the weekend, you are welcome to follow me on Twitter if you cannot be there yourself or if you for some other reason want to know what my tweets are about – I pass no judgement as to what reason you could have to stalk my tweets :). Recommendation: The museum has also arranged sound excursions for its visitors; that is, you listen to a work on an mp3-player while either walking around or going to a specific location on the museum grounds. For example, there is one reading in the toilet facilities at the museum read by Gary Shteyngart, or what about a stroll through a specific collection at the museum while listening to a reading by Pejk Malinovski (who incidentally is the producer of the sound excursions). I would very much recommend this. On the Louisiana web page they have one work by Inger Christensen read by Maja Lee Langvad og Kristina Nya Glaffey called the “Food Alphabet” in an update version. It is amazing, do listen to it (either press the link here below, or go to Louisiana Literature web page and download it here – just look in the right hand corner mid-page). Here’s hoping for yet another great week(end). UPDATE: And the weekend just got much better. 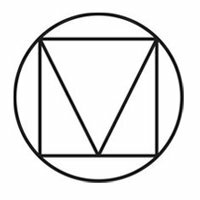 Litteratursiden.dk was kind enough to give me tickets for the festival in return for a post on their site – big thanks and do check them out here – so now I don’t have to worry about the cost. I wonder if Turidbloggar will want to come with me to play photographer? !